Great hospitality and welcoming our guests with open arms is key here. 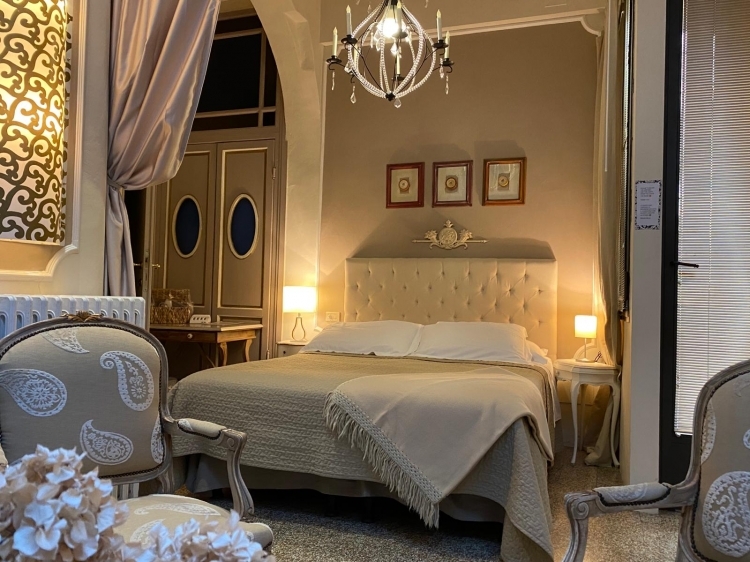 The B&B Relais Grand Tour and Grand Tour Suites is definitely "old-world" style, welcomes anyone and is particularly ideal for history buffs, art lovers and romantic getaways. The location is just a 3 minute walk to the original David into the Academy Gallery, which makes it an excellent place from which to enjoy the city. 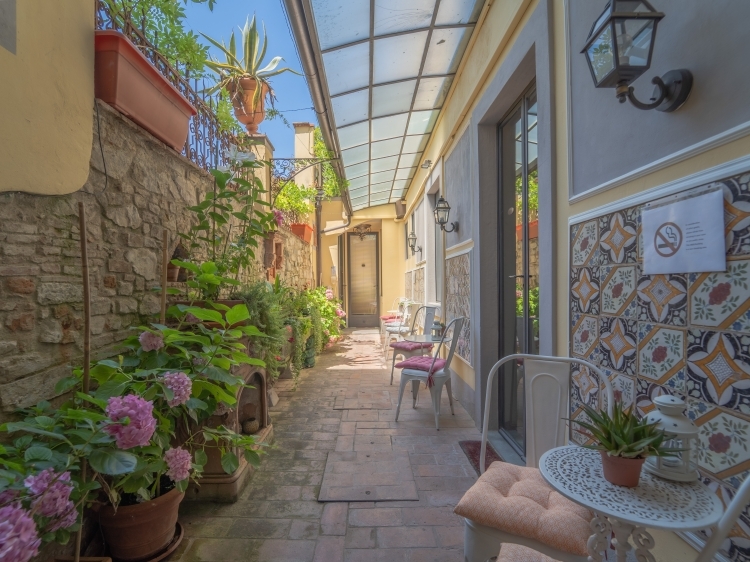 Coming back to the Relais Grand Tour is a wonderful chance to relax and spend some time in the plant and flower covered patio, reserved for the Suites that all face the quiet courtyard. 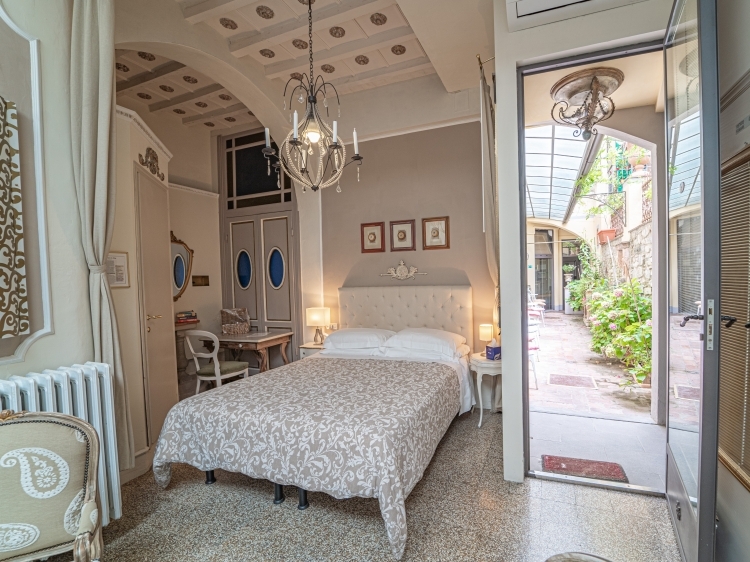 Still, even though it has an old world atmosphere, all rooms (doubles and suites) have WIFI Internet access. 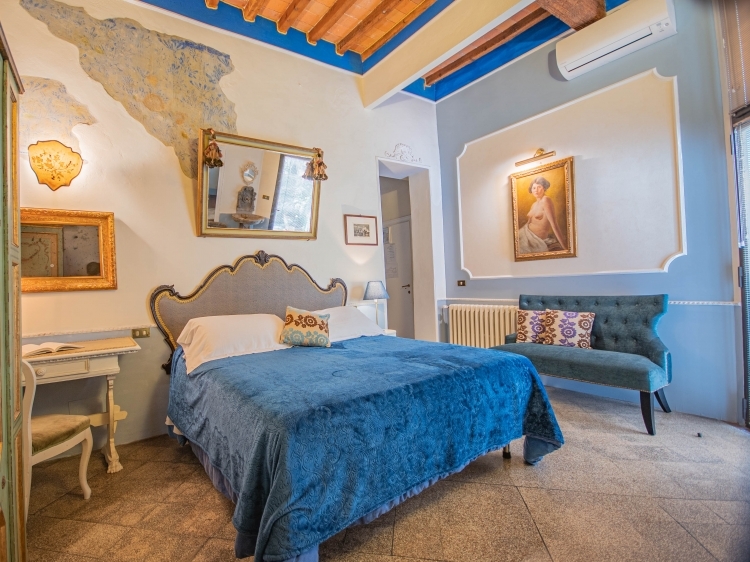 City attractions such as the Duomo and the Uffizi Gallery are only 10-15 minutes by foot from this small gem, located close to San Lorenzo church and the best Food Market in the area. Guests will discover regional specialties here and discover some of the best restaurants. In this area it is still possible to eat at reasonable prices and dine with the locals. 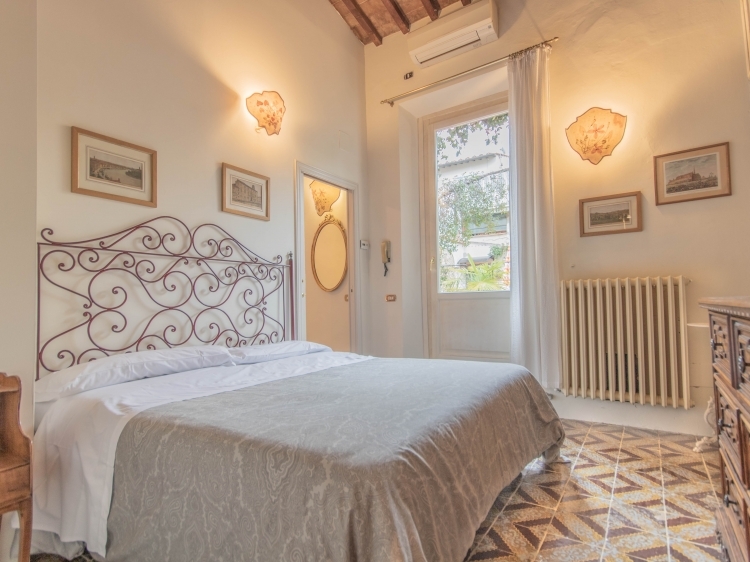 The owner, Ulrike, lives on the premises, so you can share with her your experiences and ask questions upon arrival or even before arriving in Florence. She can help you pre-book visits to galleries and museums, so you don’t have to waste time waiting in line (all this at no additional cost). 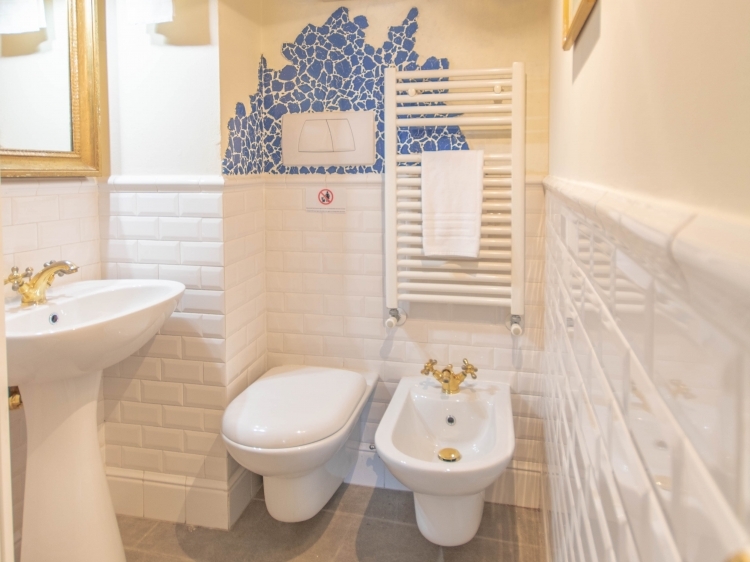 The Double Suite is located on the 2nd floor, and has a large private bathroom with shower. 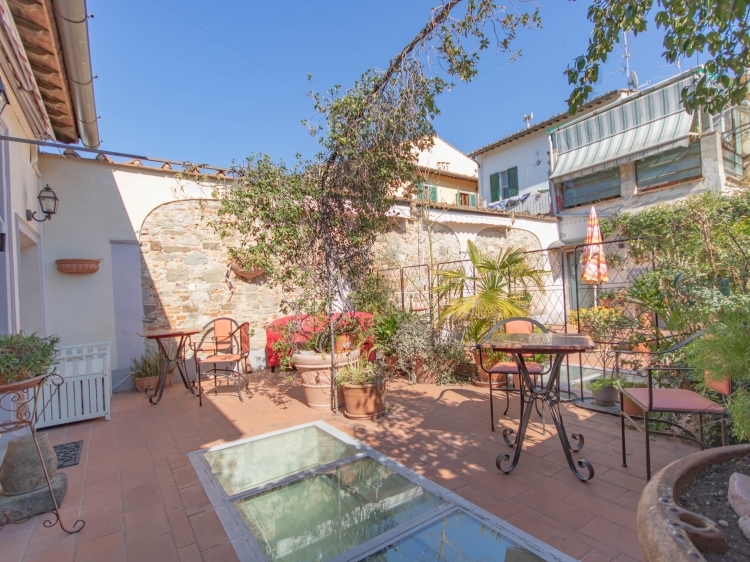 The Suites are located at the patio level with also private bathrooms, showers or bath tubs or both. Please note: breakfast is not served in-house, but at a café around the corner which you receive a Coupon for from the host upon check-in if you have booked your stay with breakfast. It’s a typical Italian affair, with excellent coffee, croissants and toast, and should set you up well for the day ahead. 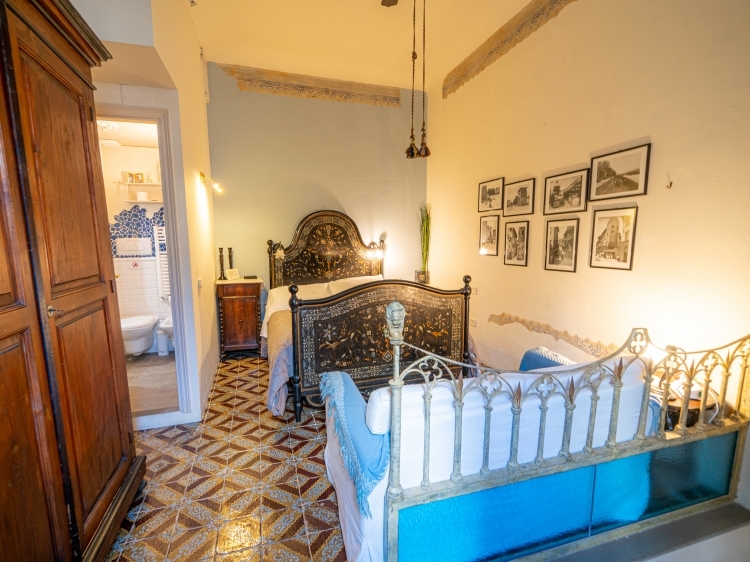 On the 2nd floor…La Cantante, a double room that has a great view of the gardens, and a bathroom with bathtub and shower. The Golden Suite overlooks the street, but has double windows and is and sound-proofed. The bathroom is very generous with a beautiful shower. 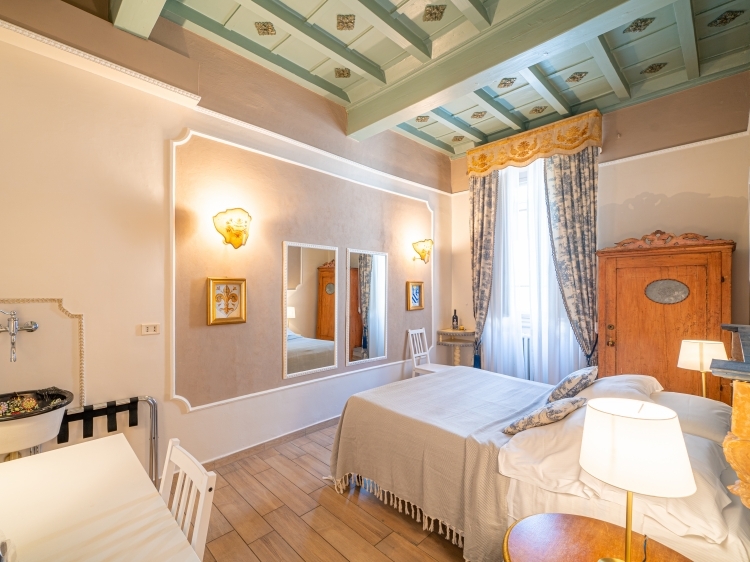 Mirrors Suite: (once the dressing room of the theatre): A double room that has antique mirrors together with some original frescoes on the wall and a small 16th century fountain inside the room. Wooden ceiling. 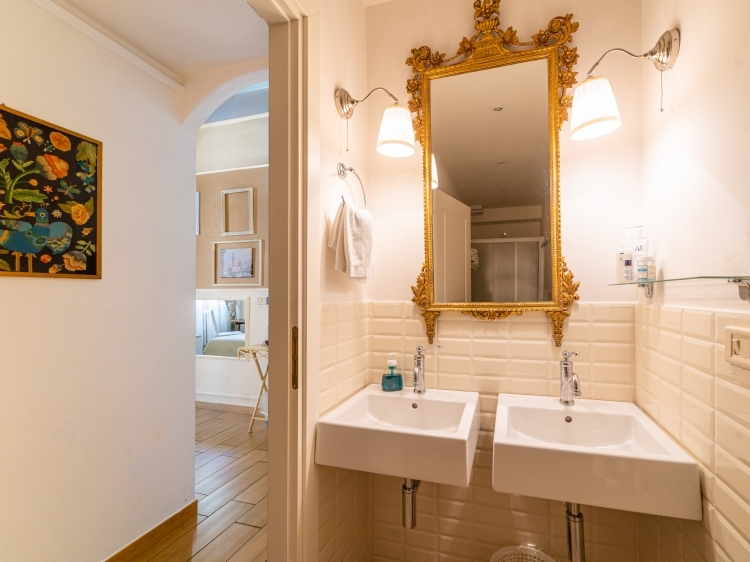 A large bathroom with a bathtub (and shower) will be perfect to relax. The room also has a mini-fridge, electric kettle with breakfast set, AC/Heating & a Safe. The entrance is from the courtyard. 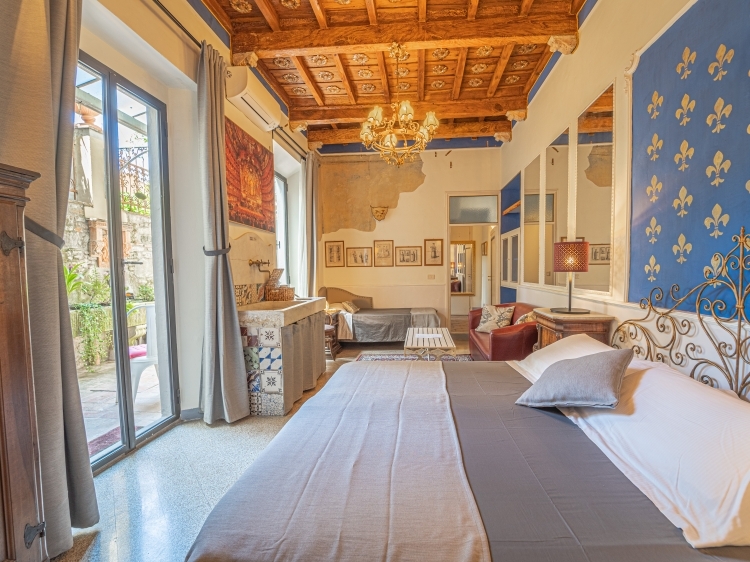 Actor Suite: suitable for two or three persons. 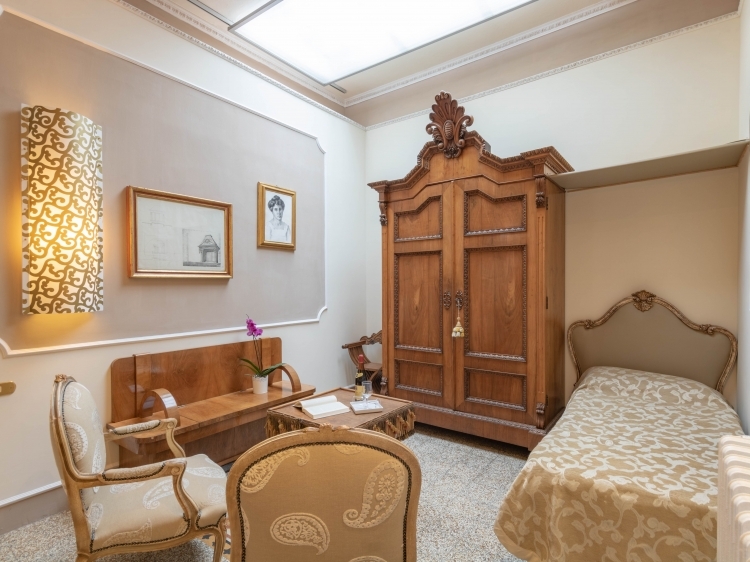 This large room has a gorgeous Neapolitan double bed in black, mother of pearl inlays and flower decorations. 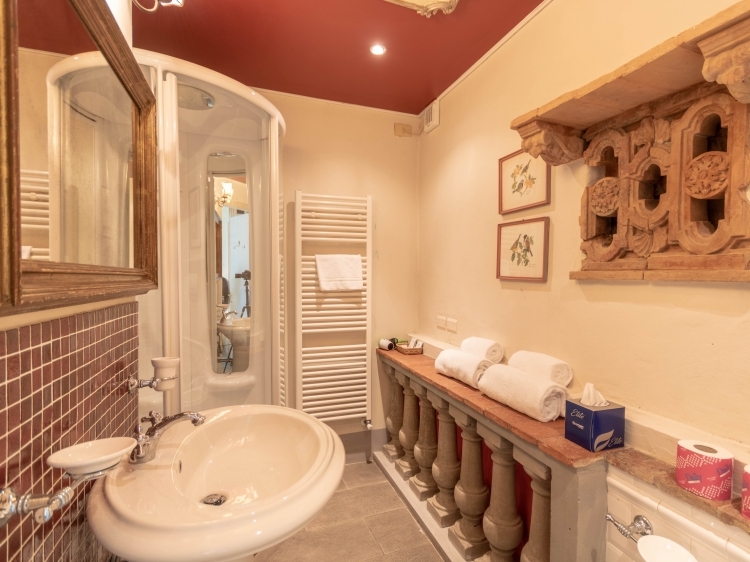 The Wood ceiling and the old marble sink tell old stories, and you will enjoy the bathroom decorated with hand-crafted “Majolicas” in red and blue and a shower stall. A single bed is available, for an extra person. The entrance is from the courtyard. Giuseppe and Cristina are the best hosts ever... we stayed in a double room at the Relais Grand Tour B&B for six nights. 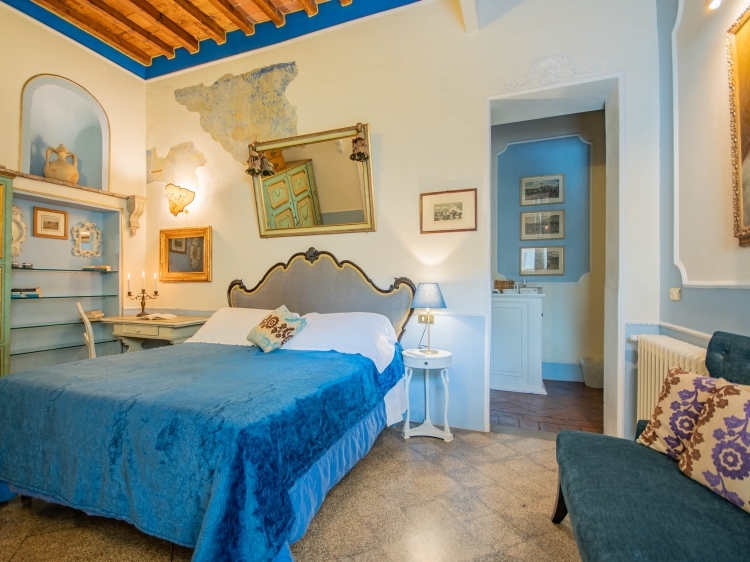 The place is gorgeous with beautifully furnished rooms, and really welcoming staff.